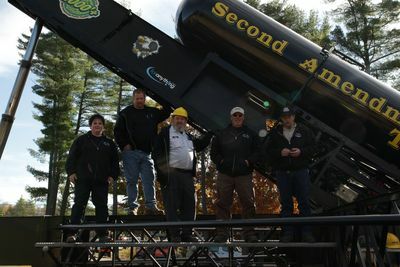 Science Channel » Programs » PUNKIN CHUNKIN: SUPERCHUNK! Westeros may have the Mother of Dragons and the King of the North, but every fall America's eyes turn to a set of backyard engineers to see who can rightfully claim "Lord of the Gourd". 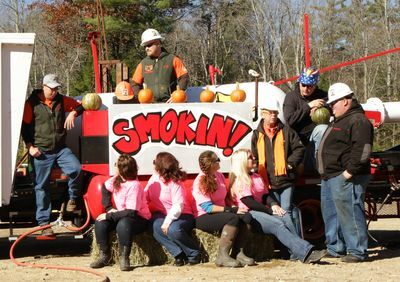 This year, the competition takes on its biggest challenge yet testing the power of and stability of these engineering marvels against cars, TV, pianos and of course... Pumpkins. 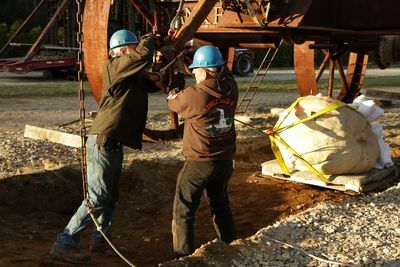 PUNKIN CHUNKIN: SUPERCHUNK!, world premieres in a special simulcast event on Discovery and Science Channel on Saturday, November 29 at 8:00 PM ET/PT. 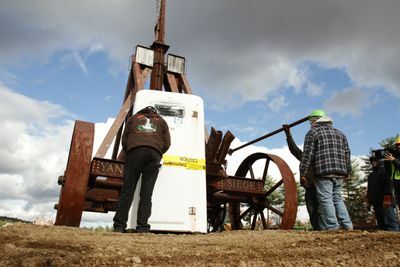 Former MYTHBUSTERS Kari Byron and Tory Belleci make their much-anticipated return to Discovery and Science Channel as hosts of the annual rite of Thanksgiving week PUNKIN CHUNKIN. Byron and Belleci are veterans of the competition's high-flying action. This year's competition marks their fourth consecutive year of taking viewers behind and beyond the firing lines to record the enthusiastic antics of competitors. "Science Channel is uniquely connected with the spirit of PUNKIN CHUNKIN. 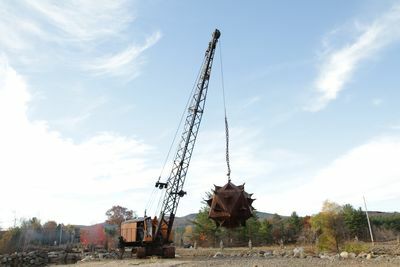 Every year we're inspired by the enthusiasm, ingenuity and pure joy of this unique event," said Rita Mullin, general manager of Science Channel. "In lieu of the competition's postponement in Dover Delaware, we knew The Chunk must go on. We've designed this high stakes competition to test the sheer power of these machines and ultimately crown our ‘Lord of Gourd' with an all-new challenge." 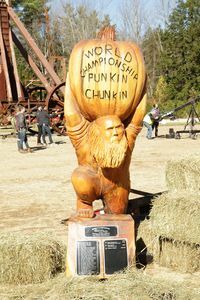 At a new venue this year, PUNKIN CHUNKIN: SUPERCHUNK! will bring together some of the top teams in the competition to unleash a chunking extravaganza like never before. Teams will vie for the top title by taking on various challenges to chunk everyday objects into a cornfield. TV's, pianos, and even cars... nothing is safe from this group as the Chunkers meet their greatest challenge to date. 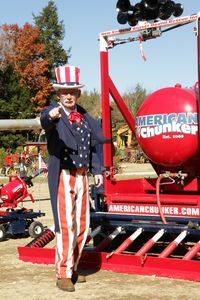 PUNKIN CHUNKIN: SUPERCHUNK! is produced by Sharp Entertainment. Matt Sharp is executive producer for Sharp Entertainment. For Science Channel, Joshua C. Berkley is executive producer, Lindsey Foster is producer, and Bernadette McDaid is Vice President of Production. Rita Mullin is General Manager of Science Channel. Science Channel, a division of Discovery Communications, Inc, is home for the thought provocateur, the individual who is unafraid to ask the killer questions of "how" and "why not." The network is a playground for those with audacious intellects and features programming willing to go beyond imagination to explore the unknown. Guided by curiosity, Science Channel looks for innovation in mysterious new worlds as well as in its own backyard. Science Channel and the Science Channel HD simulcast reach nearly 80 million U.S. households. The network also features high-traffic online and social media destinations, including ScienceChannel.com, facebook.com/Science Channel and twitter.com/ScienceChannel. Discovery Communications (Nasdaq: DISCA, DISCB, DISCK) is the world's #1 pay-TV programmer reaching nearly 3 billion cumulative subscribers in more than 220 countries and territories. Discovery is dedicated to satisfying curiosity, engaging and entertaining viewers with high-quality content on worldwide television networks, led by Discovery Channel, TLC, Animal Planet, Investigation Discovery and Science, as well as U.S. joint venture network OWN: Oprah Winfrey Network. Discovery also controls Eurosport International, a premier sports entertainment group, including six pay-TV network brands across Europe and Asia. Discovery also is a leading provider of educational products and services to schools, including an award-winning series of K-12 digital textbooks, through Discovery Education, and a digital leader with a diversified online portfolio, including Discovery Digital Networks. For more information, please visit www.discoverycommunications.com.